Arnold Media / Getty Images. Despite being an officially bilingual country, the most prominent language used in Canada is English. Just under a quarter of the country's population speaks French - most of whom live in Quebec. Aside from English and French, several other languages, including Chinese, Punjabi, Arabic, and Aboriginal languages are the mother tongues of Canadians. Unless you are traveling to less touristy and more remote parts of Quebec, understanding only English is good enough to navigate around Canada. Of course, if you are visiting Quebec, especially outside Montreal, knowing some key French travel phrases is helpful, not to mention courteous. 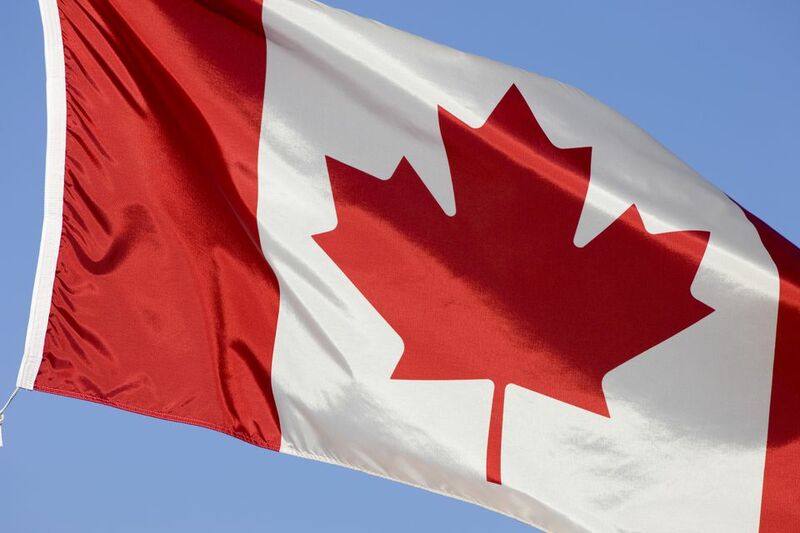 Canada - as a country - has two official languages: English and French. This means that all federal services, policies, and laws must be enacted and available in both French and English. Some common examples of Canadian bilingualism that visitors encounter are on road signs, TV and radio, product packaging, and bus and tour groups. However, the status of English and French as Canada's official languages does not mean that both languages are widely spoken across the country or that every Canadian is bilingual. Canadian bilingualism is more official designation than everyday reality. The fact is that most Canadians speak English. First of all, each of Canada's 10 provinces and three territories adopts its own official language policy. Only Quebec recognizes French as its sole official language and is the only place in Canada where this is the case. New Brunswick is the only bilingual province, recognizing both English and French as official languages. Other provinces and territories conduct affairs mostly in English but may also recognize or offer governmental services in French as well as Aboriginal languages. In Quebec, English is widely spoken in its largest city, Montreal, and other major tourist destinations. Non-French-speaking visitors to Quebec can also easily get by in Quebec City; however, once you get off the beaten track, French tends to be the language spoken, so study up or get a phrase book. The mother tongue of about 60% of Canada's population is English (Statistics Canada, 2006). French is not required learning at school outside of Quebec. However French immersion is a popular choice of education - mostly in central and eastern Canada - where elementary students who are enrolled in French immersion schools use French at school either partially or exclusively. The French and English were two of the earliest cultures to arrive in Canada and often went to battle over land. Finally, in the 1700s, with fewer French coming to Canada and in the aftermath of the Seven Year' War, the British gained full control of Canada. Though the new British - and of course, English-speaking - rulers vowed to protect much of the property, religious, political, and social culture of the French, an underlying conflict continues to this day. For example Francophones in Quebec have launched several initiatives to protect their rights, including holding two provincial referendums in which Quebeckers voted on seceding from the rest of Canada. The most recent one in 1995 failed only by a margin of 50.6 to 49.4. The prominence of languages other than English and French varies across the country, mostly influenced by immigration. In western Canada, namely British Columbia and Alberta, Chinese is the second most common language spoken after English. Punjabi, Tagalog (Filipino), Cree, German and Polish are other languages heard in BC and the Prairie Provinces. In the northern parts of Canada, including its three territories, Aboriginal languages, such as South Slave and Inuktitut rank next to English and French as top languages are spoken, though looking at Canada as a whole, their use is minimal. In central Canada, Italians have retained their language to a large degree and moving east, you'll hear more Arabic, Dutch, and Micmac.